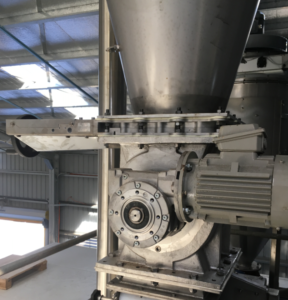 The new WAM VIB Thin Slide Gate Valve is a low profile cost effective solution for isolating powders and granular materials in hoppers, bins and silos. 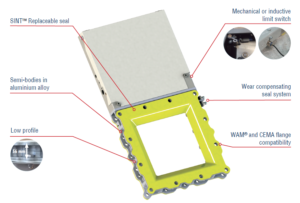 The thin valve consists of two high pressure die-cast semi-bodies manufactured from aluminium alloy, a sliding blade in carbon or stainless steel, a carbon or stainless steel frame with polymer seal. The use of SINT engineering polymer seal considerably reduces the abrasion wear compared to traditional valves. For the food industry they come in a version with stainless steel blade and frame, as well as food-grade seal. Available in multiple sizes including 150, 200, 250, 300, 350 and 400mm. Available with Handwheel Actuation, Pneumatic Actuation or Electro-motor actuation. Ready to use for horizontal or vertical mounting.